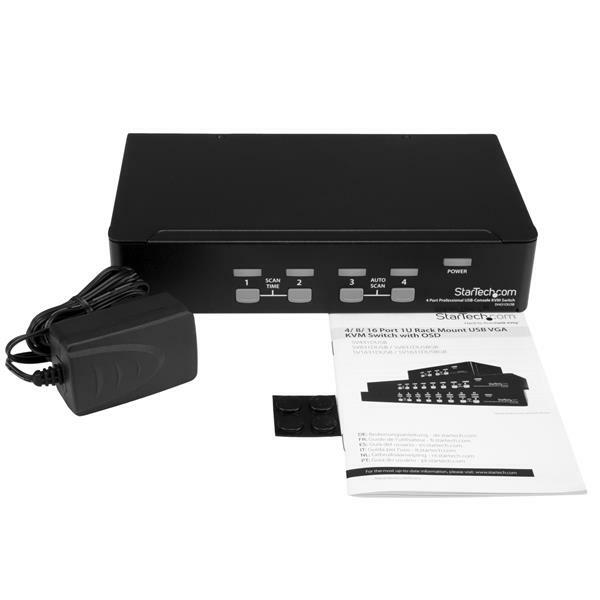 This 4-port USB+PS/2 KVM Switch lets you control multiple PS/2 or USB-controlled computers from a single console (USB keyboard, USB mouse, monitor). 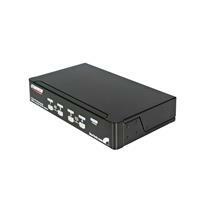 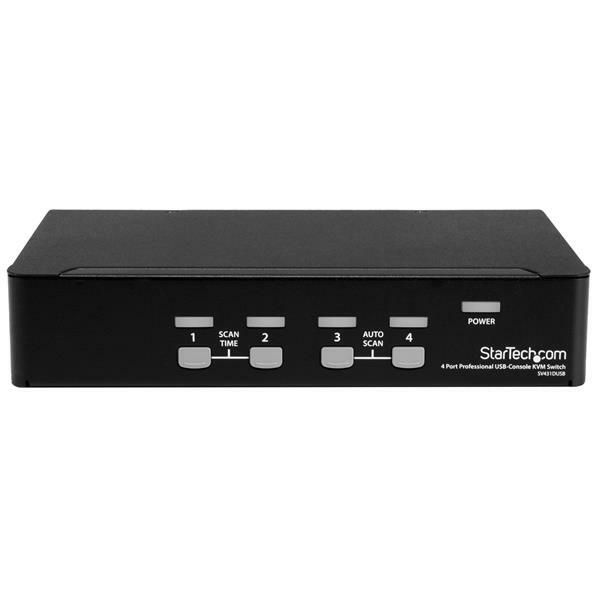 The versatile USB PS/2 KVM switch features convenient pushbutton and hot-key control for quick, reliable switching between connected computers. 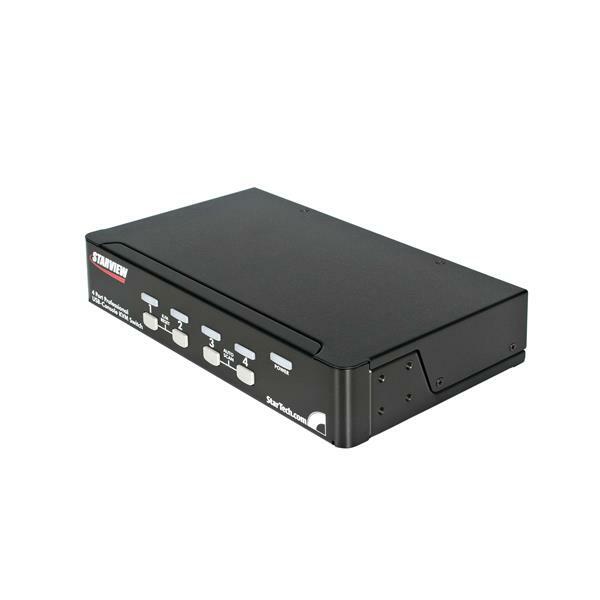 A convenient and straight-forward control solution, the USB PS/2 KVM switch supports both manual and auto-scan modes and simple configuration through the built-in OSD. 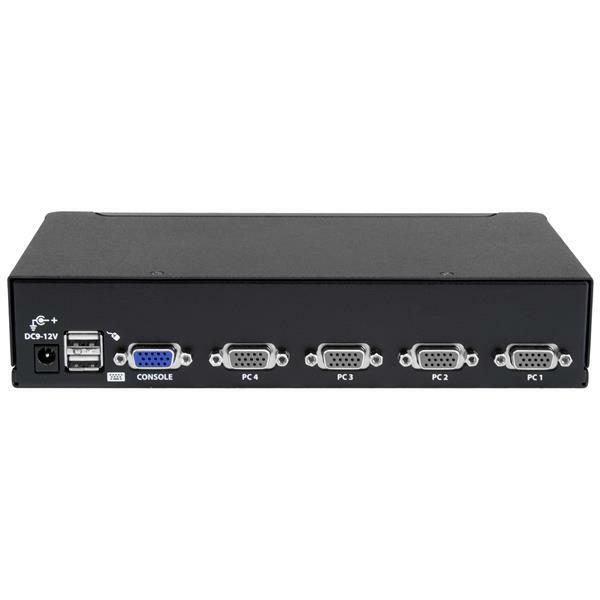 Designed to ensure maximum space-efficiency, the USB+PS/2 KVM switch features a slim 1U design that fits neatly into a server equipment rack/cabinet and offers rear cable connections to eliminate cable tangles.